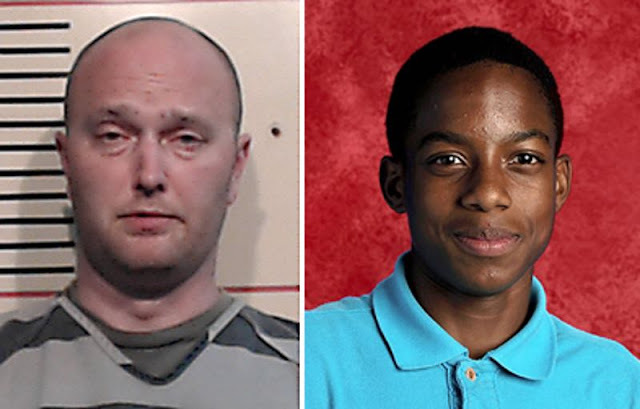 Roy Oliver, the fired Balch Springs police officer who shot and killed 15-year-old Jordan Edwards as he was driving away from a party, was arrested on a murder charge Friday night. Oliver, 37, turned himself in at the Parker County Jail. Bail was set at $300,000. He was released before 10 p.m. after posting bond. If convicted of murder, he faces up to life in prison. His attorney could not be reached for comment. The arrest warrant affidavit says another officer used his gun to break the car's rear window before Oliver got behind the officer and fired several rounds into the car as it drove past. It also says that Oliver "committed this offense while he intended to cause serious bodily injury in an act clearly dangerous to human life."